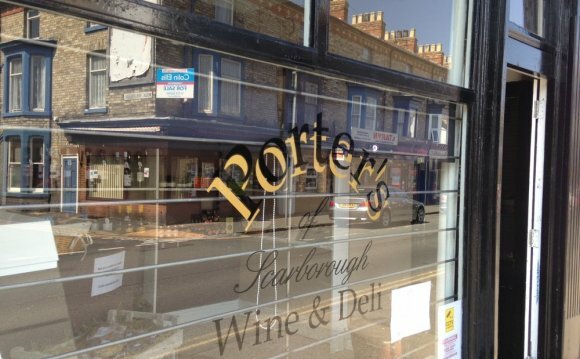 - Scarborough's original Italian pizzeria, for over 30 years. Famous for home made pasta and pizzas, as well as fantastic steaks, fish and salads. is a small holding situated on Yorkshire's beautiful heritage coast. We are open daily for breakfast and lunch and serve delicious cakes and home baking all day, which are perfectly accompanied by our selection of speciality teas and cappuccino coffees. Our traditional Sunday lunch is renowned and, like our entire menu, is cooked from the finest locally sourced ingredients. We also serve an interesting selection of wines and beers with many available to buy in our shop too. - Having worked in London & Asia, husband & wife team Jeremy & Anne Hollingsworth returned to their home town to open Jeremy's - a sophisticated yet relaxed dining experience, situated on Scarborough's picturesque north side. For A La Carte dining or a lazy Sunday Roast, Jeremy's offers a chic environment to enjoy outstanding food, wine and service. The decking area at the front catches the late evening sun for Al Fresco dining or drinking. - The award winning restaurant Lanterna has been featured in the ‘Which? Good Food Guide' and the 'Michelin Guide'. A Yorkshire institution, Lanterna has stood on the same site for almost 40 years. Offering a refined form of Italian cucina with comfort food of the highest order - game, risotto, pasta, hazelnuts, chocolate - and, of course, Lanterna's speciality, truffles. Each evening the menu has a mind-boggling specials list of fish dishes - and every last piece is guaranteed to be so fresh, you can still smell the sea.